My great uncle that owned the 40 had been trying to find a gas pump to put out in front of his garage for years. I remember him trying to find one at swap meets and rod runs etc, when I was growing up. Well the year he passed away he finally got one bought. Unfortunately he passed away before he could do much with it. He did set the gas pump outside by the garage, then parked Sooner, the 40, by it and did take a picture of it. That old Polaroid used to hang on a piano in their house even after Uncle Jerry was gone. His wife painted a picture of this scene for him too. My aunt had a couple of her sons living with her from time to time after Uncle Jerry was gone. (Not that it really matters, but the sons were not from Uncle Jerry) Occasionally she'd call me over to work on her car or lawn mower, or what ever. Once I noticed all Jerry's pictures were gone and Nancy was surprised too. She told me she'd get to the bottom of it. The next time I was there she had me work on gathering up all the parts to her 65 Galaxie 500 convertible because she was selling it. I stumbled across the old gas pump, or so I thought, of Uncle Jerry's in her basement. She agreed to sell it to me and said she'd work on clearing out all her antiques away from it so I could get it out. It was missing some covers and pieces but I didn't care. Eventually she just gave me the pump because I'd never take any money from her when I did things for her. Well, time went on and I bought the 40 from the guy whom bought it from Nancy. A couple years later she gave me the painting of the 40 and the gas pump. Then a few more years went by and she gave me some old pics of the 40 at a rod run in the 80s. Last month Aunt Nancy passed away. I had forgotten all about the old pump. My mom called me a few weeks ago saying Nancy's son Bill, stopped by and was asking my Dad what he thought an old gas pump was worth that Nancy had. My dad quickly asked him, " You mean Jerry's old gas pump?" Mike went silent and then said, "Yeah, that one." My dad told him it was supposed to be mine according to Nancy for all the stuff I did for her and she also said it belonged with the car and it's owner. Yesterday I was on my way to go get the family so we can go trick or treating and my Dad sent me a picture of something in his yard. I opened the pic to see that Nancy's sons dropped off the old gas pump. It wasn't the one I saw in the basement either. Apparently that one was a parts unit. This one was the one that was out in front of his garage! They told dad that they couldn't get it unlocked and had no interest in it so here it is. I thought that was perfect. They already sold all of his other stuff so why would the pump be any different. Oh well, at least they actually brought it over. I'm betting they have had it for years. I'd still like to see what else they have because Uncle Jerry had all kinds of NSRA and street rod memorabilia. I have no idea what make and model this pump is. My Dad is going to work on picking the lock so we can check out the inside. My plan is to set it in front of my garage and maybe paint it. Then park the 40 next to it in the summer. I'll put more pics of it as I get them. Last edited by 40FordDeluxe; 10-31-2018 at 12:15 PM. Mike P, Dave Severson, NTFDAY and 4 others like this. that's pretty cool. at least the extended family gave it up. my Uncle (dads brother) died last December, and I and my other Uncle (dads half brother) have been fighting with his second wife's family over quite a few things that belong to our side. His step daughter is a real b*tch and apparently the one he made executor. That is way cool and finally where it belongs! My Dad got it opened up and he said everything looks really nice inside. He said the lower cover was inside it too. He also said it feels like the pump may still operate. It turns out this is a Gilbert and Barker T88 oil or petrol pump circa 1910ish. Some had a globe tower with a globe. I'm guessing finding the tower may be difficult, so maybe I'll make one just so I can put a reproduction globe on the top. Dave Severson, NTFDAY and Hotrod46 like this. Very cool. That will look neat outside your garage, and it’s a good memory of your aunt and uncle. Good for you Ryan! It'll be a nice addition to the shop. I'm pretty excited about it. I've been searching for a globe mount already. Haha Maybe I'll try to replicate something like the last pic. It looks pretty cool. 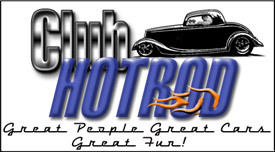 Car Year, Make, Model: `47 Ford sedan, A.C.Cobra replica. What a neat story Ryan. I'm glad your aunt's kids 'saw the light' and gave it back to where it should rightfully (imho) be, and with someone who will appreciate and cherish it for the family connection. Some mistakes are too much fun to be made only once. '47 Ford sedan. 350 -- 350, Jaguar irs + ifs. '49 Morris Minor. Datsun 1500cc, 5sp manual, Marina front axle, Nissan rear axle. '51 Ford school bus. Chev 400 ci Vortec 5 sp manual + Gearvendors 2sp, 2000 Chev lwb dually chassis and axles. '64 A.C. Cobra replica. Ford 429, C6 auto, Torana ifs, Jaguar irs. Thanks Bob for the info! I did not know about the Gilbarco name yet. I did find a guy in Minnesota that has an aftermarket globe mount/tower. Just what I needed. One more thing to buy stuff for. Mike P, Dave Severson and 34_40 like this. Mike P, Dave Severson, NTFDAY and 5 others like this. Very cool story. My Grandma had a functioning old gas pump on her farm when she passed. One of my uncles(Les) had built a house on the same property and had got my grandma to sign a living trust different from her will right before she died. No one else in the family knew about it. Les had failed to pay off his contractor for his new house so the minute he inherited the property, the lawyers swooped in. I t was a huge mess as another uncle(Bill) owned 30 of the sixty acres of grape vineyards that my grandma and uncle Les had their houses on. In the end Bill's barn/Shed/Huge steel workshop was confiscated as it was on my Grandma's portion of the land. A huge legal battle ensued including law suits from other relatives over who should of got what. Uncle Les up and moved, disappeared for years, the ranch which was a family gathering place was split in half leaving Bill the 30 acres of grapes but no dwelling and the rest of the property was sold in a foreclosure. People do crappy things with other peoples property. My grandma had a few neat old things including the pump which magically disappeared before the foreclosure. One was a vintage 1930 Philco console short wave radio, others were some old tractors, and heirloom household china, and paintings. Flash forward about 6 years ago I'm in Fresno visiting Uncle Bill before he dies, and my cousin bill junior takes me out to whats left of the old ranch, where Bill built a new steel bard. Inside there is the old Philco radio. It's in ruff shape. My cousin Bill Jr. told me he found it in Oregon at one of my cousind's from a digfferent Aunt's house. They apparantly seized this and took it to Oregon where their kids lost all of the buttons and broke the dial glass. He said it was outside in the rain when he went there to help them move back to california. He couldn't let it rot there so he took it and put it in his dad's barn. I asked if I could have it, because I restore antiques including older radio equipment. Today it works on am mode and the case came out remarkably well with a lot of effort where I was able to keep the original finish and patch a few ares that needed some help. I rewired a new plug, put new buttons on it which were NOS parts online, including a new glass dial(yet to be installed). When I pluggeed it in and let the tubes warm up, for 10 minutes I was shocked to hear radio talk show, and the wonderful rich quality to the music and vocals. This is one of my most cherished items and a constant remembrance of my Grandma. Anyway thanks for sharing (hope my long story doesn't disrupt this thread, looking forward to seeing any updates you have on the pump or a picture of the 40 parked next to it! Bob Parmenter, ted dehaan, NTFDAY and 2 others like this. Steve, I'm glad to hear you were able to get the Philco and enjoy it too. That whole thing with the farm stuff sounded like a mess. Thanks for sharing it! Not to hijack Ryan's thread; but that's a great story Steve. NTFDAY, 34_40, stovens and 1 others like this.